QuickBooks POS is a powerful point of sale system that is integrated with Quickbooks’ accounting software. It allows you to enjoy features such as tracking inventory, customer management, employee management, and more. We compiled reviews from our own website and around the web and found that it has generally positive ratings. We also shared its available pricing options. Want to know the top POS software for small business? Read our QuickBooks POS alternatives guide. Users who gave QuickBooks POS a positive review like the robust features but easy implementation of the app. They said that it’s very user-friendly. There weren’t a lot of negative QuickBooks POS reviews, but users feel that even though Quickbooks POS has a lot of features to offer, the cost of buying and maintaining the software is expensive. QuickBooks POS has three one-time purchase options: Basic ($1,200), Pro ($1,700), and Multi-Store ($1,900). 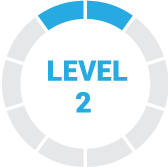 Each license is valid for one user, and includes inventory management, payment processing, integration with QuickBooks, basic or advanced reporting (depending on the type of license), and tracking customer data among others. Hardware purchases are made separately. Quickbooks POS is a system created to automatically link up to the Quickbooks accounting software. Their software licenses can be purchased for a one time fee and on a per user/device basis. Meaning if you purchase the Multistore software and license, you’re purchasing one device and the ability to sync with other devices, but you’re still only paying for one user and one physical POS setup. You will need to pay the same software license fee again for every other user/device. Hardware prices range from $109.95 to $409. For customer service, you can either pay a subscription type fee of either $79 a month or $589 a year. Payment processing rates depend on whether it’s pay-as-you-go or a monthly subscription. Check out the list below of some of QuickBooks POS’s features. Does QuickBooks POS offer a free trial? Yes, interested users can sign up for a 30-day free trial. Quickbooks POS charges a fee for every software upgrade which will cost users $599.95 or $899.95 depending on the software license. The video below is an overview of QuickBooks POS and its features. When choosing a POS software, it’s important that the software integrates with other applications your business is currently using. 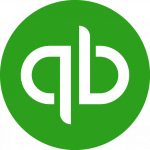 Here is a list of some of QuickBooks POS’ popular integrations. Not sure if QuickBooks POS is the right fit for you? Read our reviews of all top POS software or check out one of these three QuickBooks POS alternatives. The fact that is lags whenever the items reach 10K is a bummer. At first I thought it was my PC but it wasn’t. This POS is a nightmare! It even miscalculates tax, costing the company hundreds of dollars. It crashes hourly. You can’t print out a customer’s history. The search algorithm was written by a child on a Commodore 64 in 1987. The customer service is non-existent and updates only make things worse. Buy calculator and a ledger- maybe even an abacus- but NEVER, EVER buy Quickbooks POS! That they have o idea what they are doing, and clearly never use their own junk software in real life. Reports can be ‘clunky’, and have had times where they were less than accurate. My biggest gripe, and the reason I am changing to another POS is the inability to shop Credit Card processors. You have to use QBs, and their rates are ridiculous! The POS is pretty simple to operate. The reports selection is great and reports are very simple to create. The program can run slow and crashes or freezes constantly, I would love to see an improvement with this. Also, customer support could be improved. There have been times when the system crashed and because the support subscription had expire for a few days I couldn’t get any help with my issues until the subscription was renewed and that is handled by a different department. The over all time spent on the phone was over 30 minutes since I was transferred to another department, and then transferred back to the help desk. I wish I would have know that an annual customer support subscription is required to pretty much fix any issues with the system and the cost of the subscription. You are able to keep a large inventory system that is easy to look up items. Its nice you can enter in all the information you could possible need when receiving new inventory. POS transactions are pretty simple. It seems to be prone to crashing and customer service can be unhelpful sometimes with basic needs and questions. We recently had QB lose 2 days worth of sales because it failed to back up. So we had to do an inventory of our entire store that was well over 10,000 items forcing us to close and lose money. The POS while simple I fell requires too many buttons to be pushed and it can keep the customer waiting. Also I feel like that it’s too easy to make errors while receiving inventory because of bugs or human error. When you think of business software you automatically think of QB you think it’s the best and it’s really great in some aspects and others it’s weak. Generally functioning and not freezing while updating inventory and sales reports would be a big improvement.